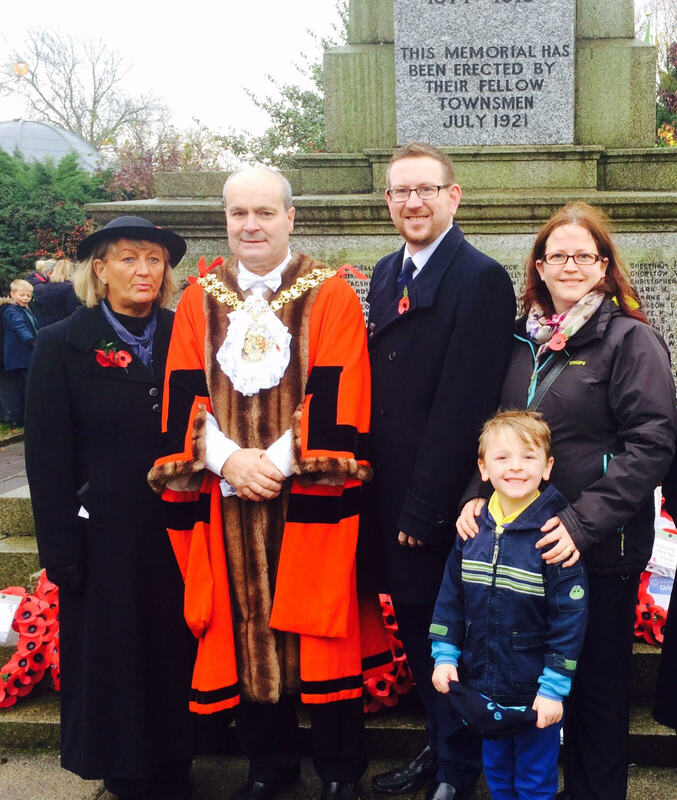 Andrew Gwynne MP has marked Remembrance Sunday in services across Denton and Reddish. He attended a service at Willow Grove with the Mayor and Mayoress of Stockport, the Deputy Lord Lieutenant of Greater Manchester, Councillors and the Cadets. 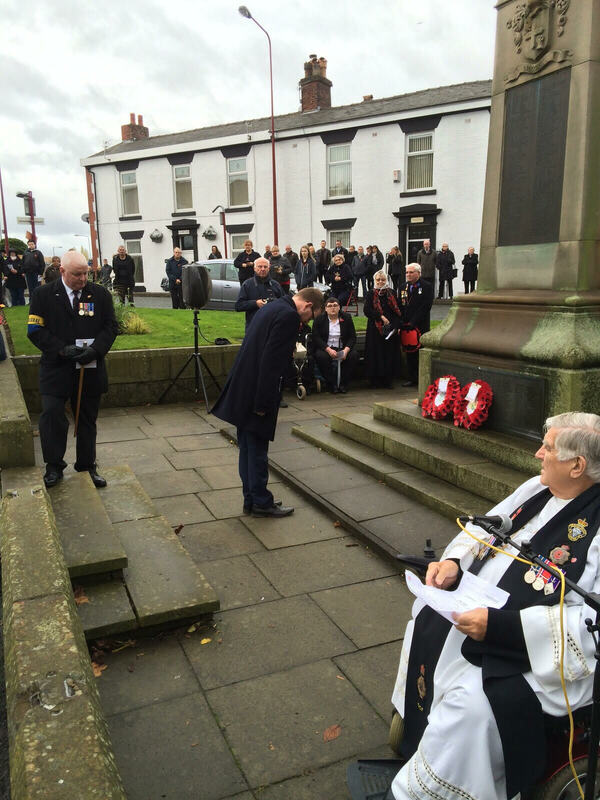 He also attended a service at Denton cenotaph with the Mayor of Tameside and a service at Dukinfield cenotaph. The Mayor of Stockport and Consul-General of Belgium unveiled a plaque to a Belgian soldier of the Great War, who it has recently been discovered is buried in Willow Grove. He also visited Denton Town Hall to meet local resident Kath Wagstaff, who has donated a knitted poppy wreath to the building. It includes two colours – red, for humans, and purple, for those animals lost in war. Kath runs the knitting club at Denton Library, which is based at the Town Hall. “I was so privileged to take part in the Remembrance events this Sunday. “It’s amazing how the Friends of Stockport Cemeteries have restored Willow Grove and, as a Commonwealth War Graves site, the Friends have recorded the military history of the cemetery. It was lovely that the ancestors of the Belgian soldier buried at Willow Grove could attend the service. “At the services I managed to get to, I wore the miniatures of my great-grandad’s Great War medals, and placed a cross in his memory in Denton. He died on 30 July 1916 near Loos, Pas-de-Calais, after surviving the Somme offensive a month earlier.